Despite Suicide Squad reigning atop at the box office for three straight weeks, the continuing narrative is that the whole production was a disaster. Jared Leto has been vocal in his dislike of the film's final cut, which saw many of his favorite Joker scenes removed. But what about the rest of the cast? Do they have any favorite scenes that were left on the cutting room floor? 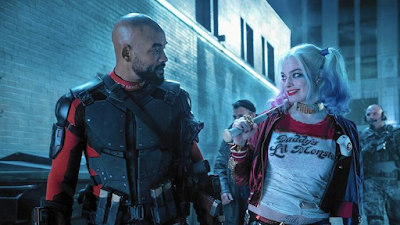 Speaking with MTV International, Will Smith, Margot Robbie, Jay Hernandez, Cara Delevingne, and more each talk about their favorite scenes that were left out...including a love scene between Deadshot and Joel Kinnaman's Rick Flag. Nah, that was a joke...or so we think? Apparently there was a whole dance number by Harley Quinn that Robbie was sad to see go, and frankly as a fan of hers so am I. It better be on the Blu-Ray. Suicide Squad is in theaters now but the home release can be pre-ordered here.